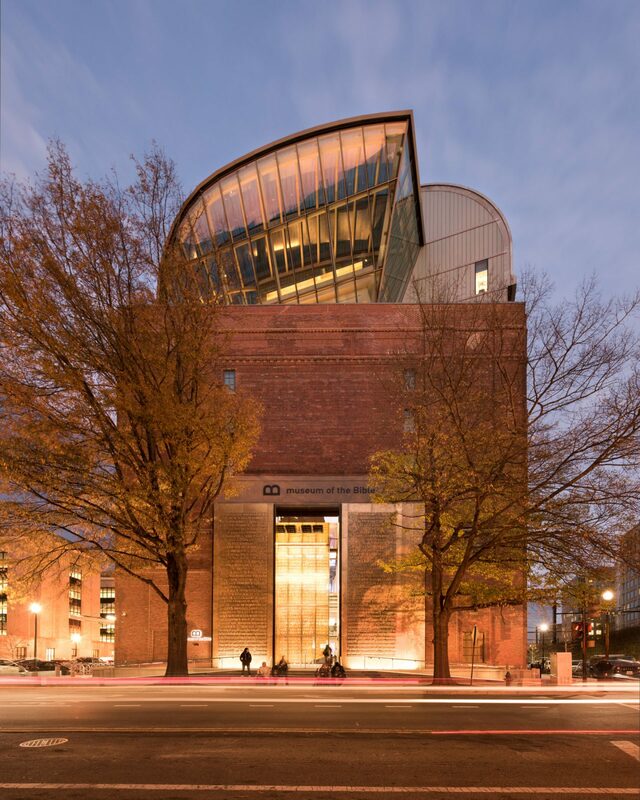 Washington D.C. is not only the political capital of the USA, it is also the city with the most – and most important – museums in the country. 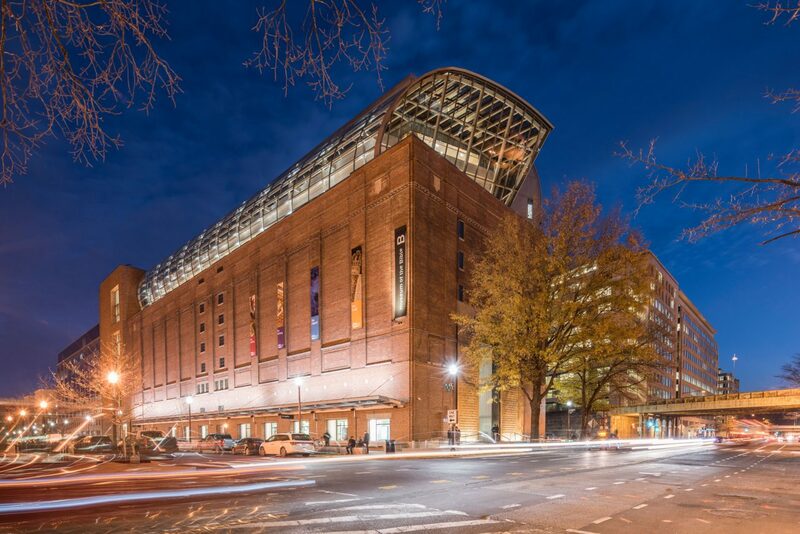 A completely new museum dedicated exclusively to the Bible is emerging in the heart of the city, just three streets south of the Capitol. The museum is being constructed in an existing building which has been gutted and remodeled at great expense for this purpose. The exhibition space covers an area of 40,000 m² and extends over eight stories, including two basement floors. In addition to this, it has a 500-seat theater, a library, a ballroom, a restaurant and the new “Biblical Garden”. The stated aim of the initiators is to build the most technologically advanced museum in the world. 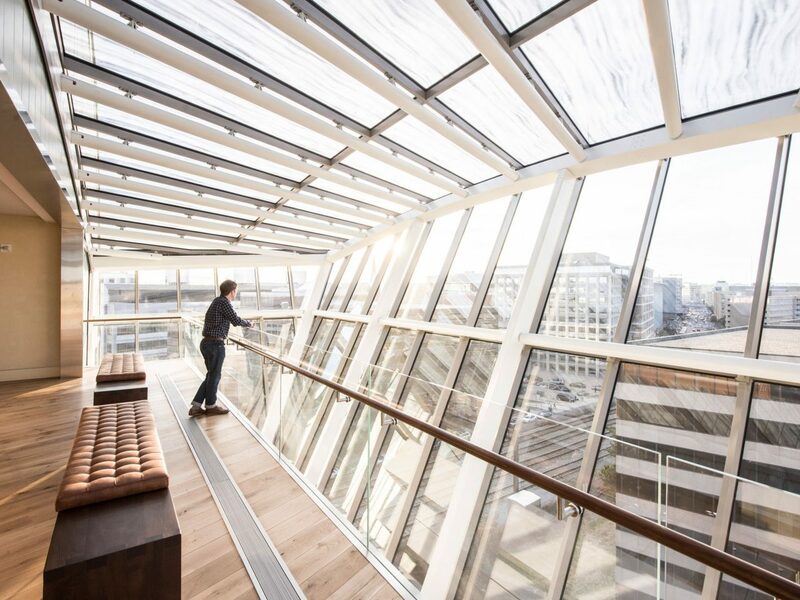 This includes in particular the architectural highlight of the building: the newly constructed approximately 1,500 m² roof construction, which has added two more levels to the building at the same time. The highly transparent steel, aluminum and glass arched structure offers visitors breathtaking panoramic views across the capital city and turns the museum into a landmark for the city at the same time. U-profile glass panels, familiarly used for industrial rooflights, run around the arched roof structure to become an additional design feature. 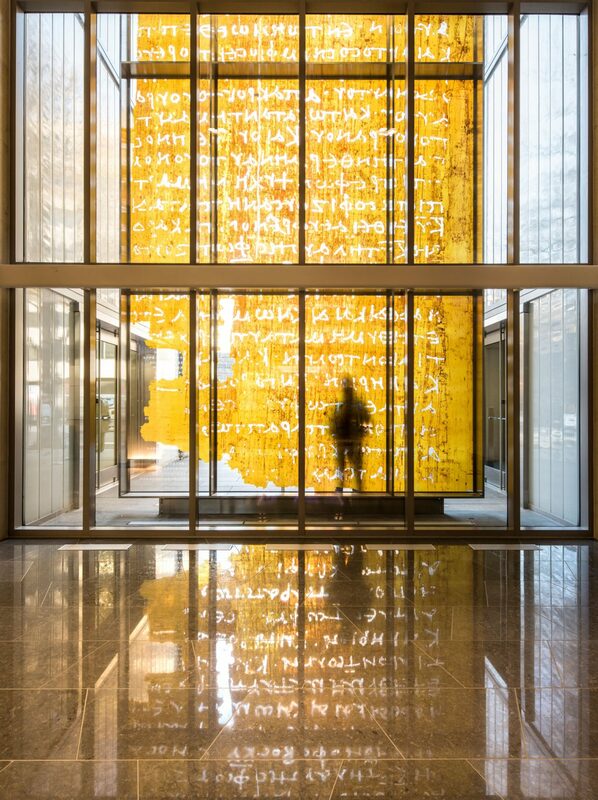 Panes of special glass designed and hand-painted in cooperation with a Munich craft workshop were combined with an exceptionally filigree stainless steel structure in the stunning entrance area. 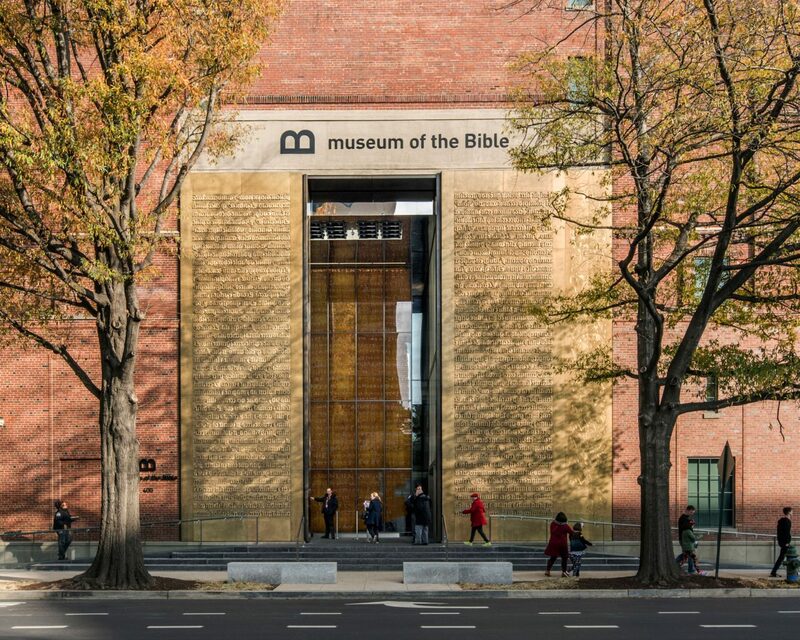 Visitors are thus given an impressive view of a 39 foot high glass wall with a replica of a centuries old page of the Gutenberg Bible before they even set foot in the museum.